Way back in 2000, veteran filmmaker JP Dutta was directing two debutants in his Indo-Pak romance-drama Refugee. Both the leads—Abhishek Bachchan and Kareena Kapoor—came from film royalty, but their acting chops were yet untested. One of the scenes required Dutta’s heroine, still shy of 20 then, to share screen space with Suniel Shetty. While Dutta was readying Kareena Kapoor for the role with a round of rehearsals, Shetty, already an established name in the industry, was taking it easy, confident of getting into the skin of his character right on the floor. Finally, Dutta convinced Shetty to have one rehearsal with Kareena, and, instantly, he was shaken out of his smugness. “‘Good heavens sir, she is fantastic’, Shetty told me, and set about preparing for the role with purpose,” recalls Dutta. 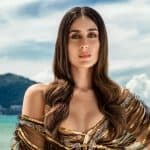 Sixteen years after Refugee released and tinsel town took note of the then youngest Kapoor on the block, Kareena (Kapoor Khan, after her marriage to actor Saif Ali Khan) still evokes a similar response. In the recently released Udta Punjab, she plays a role that’s crafted almost as an aside, but Kareena Kapoor brings Dr Preet Sahani alive on screen with a rock-solid performance and manages to shine in a stellar cast of Shahid Kapoor, Alia Bhatt and Diljit Dosanjh. Cinemagoers enjoy her style, directors her effortless spontaneity. And her versatile portfolio of movies—from over-the-top performances, as in Kabhi Khushi Kabhie Gham… or K3G, 2001) or Jab We Met (2007), to muted, subdued roles like in Talaash (2012) or non-mainstream movies like Chameli (2003)—has proved that Kareena Kapoor is no pushover. To borrow from nouveau lingo, Kareena Kapoor Khan has been trending for 16 long years. Hashtags can often be flash in the pan. Not Kareena. The slender corridor between the elevator and the wooden door of Kareena Kapoor and Saif Ali Khan’s 10th floor penthouse in Bandra, however, doesn’t scream of this daunting CV. Instead, a Moroccan lamp and a couple of paintings make for an unusual, sobered down setting. Barely do I finish the “I’m here to meet Kareena Kapoor” ritual in front of the domestic help who answers the door that the lady of the house appears from one side, holding open another door that leads to the drawing room. “Please don’t leave your shoes outside, just come in,” says Kareena, as she shows me to the couch. “Sorry I’m in my casuals,” she adds, explaining her peach top and patterned track pants. “Don’t feel like dressing up on an off day at home,” says the actor as she settles down amidst an array of framed photos—of both her family and Saif’s—and DVDs. “We’ve watched all of Homeland, but Skyfall is Saif’s; he’s a big Bond fan,” says Kareena Kapoor as she puts her hair up in a loose bun and allows it to fall down again in the middle of the sentence.